You know how Kickstarter works already. You set an artificially low goal so that your campaign will easily be a success and you get to collect the new funds. Barbell Apparel did something similar, setting the bar low at only $15,000. Of course, they wanted to beat that number. However, they had no idea that they would smash it out of the park. In this post, I’m going to walk you through, step-by-step, how Barbell Apparel was able to raise almost three-quarters of a million dollars (49x their initial goal) and how you can do the same. But first, let’s look at why Kickstarter is the perfect platform for testing new product ideas. Some companies spend five months on product development. 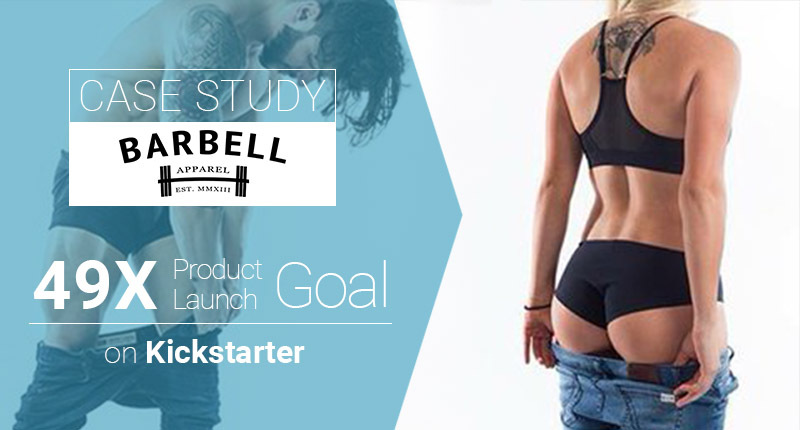 Barbell Apparel spent over five months just preparing for their Kickstarter launch. Why all that single-minded effort on a pre-launch? Kickstarter provides a unique platform for testing market demand. It gives you the ability to either jumpstart a new customer database or point out flaws in your product strategy before ever committing a single dollar to your vision. So in other words, it’s one of the best ways to test your ideas without investing too much time or money on something that people don’t ultimately want. Barbell Apparel also used it to refine who their core audience is, and their unique pitch or messaging to reach them. For example, Barbell’s core customer includes athletic people with large, muscular legs. Go try to find designer jeans at the mall right now. What you’ll find are straight or ‘skinny’ variations that look great on smaller, thin people. But athletes often have a problem: Their waists aren’t that big, while their legs are. So ‘big and tall’ variations are often way too baggy around the midsection. While designer jeans have leg holes that look more appropriate for someone’s arms (instead of their thick thighs). In essence, Barbell identified one very specific pain point and went ‘all in’ on finding others who suffer from that problem. 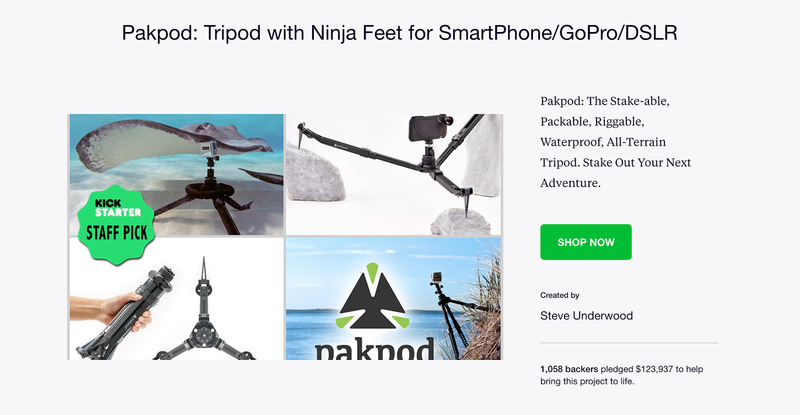 Their Kickstarter campaign allowed them to figure this positioning and messaging out — in real-time — before ever finalizing their products and investing money into boxes full of them. 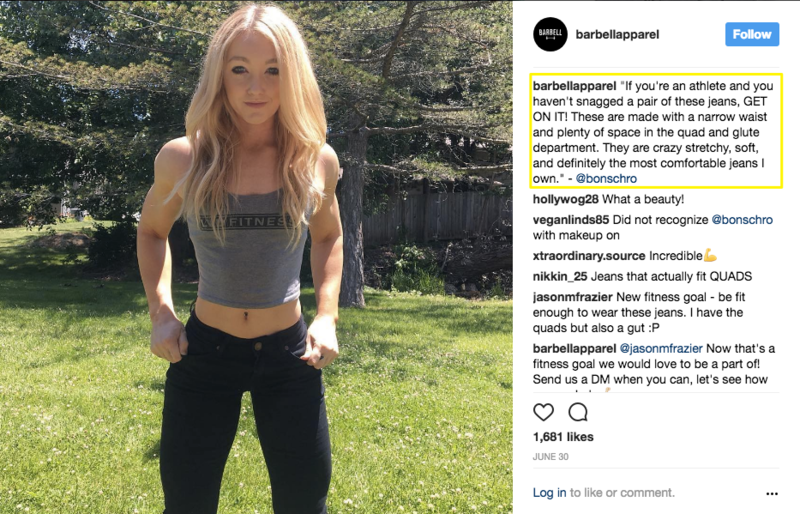 Barbell Apparel used Facebook and Instagram initially, before the campaign, to start talking to their customers and use that intel to refine their product ideas. Soma, a high-end competitor to the Brita water filter, raised over $140,00 in nine days. They did this by interviewing the top 15 earning Kickstarter creators to discover what elements helped create a successful campaign. HiddenRadio, meanwhile, submitted product renderings of their product (before ever actually building it) to some design blogs for feedback. They were then able to use the positive response to create a Kickstarter campaign (as a second test). These multiple rounds of testing and iteration — before spending a single dollar on products — helped them get a proof of concept that they could feel confident in proceeding to manufacture. Tim Ferriss calls this the “surround sound effect,” where you place yourself wherever your customers are to understand who they are, what they’re going through, and how you can help them best. Undercapitalization is one of the most common reasons businesses fail. Essentially it means failing to have enough cash on hand to both invest in new product or services while also covering the basic day-to-day operating costs of running a business. This problem is especially deadly for new product companies. There are no existing sales to bring in money. You’re not exactly sure if customers are going to like your ultimate vision. However, you have to invest large sums of money up-front, without any idea of if or when you’re going to get paid back (which could be months later). So starting a new product companies means you’re already falling behind; going into a large negative cash flow position to get your vision off the ground. Kickstart can solve that problem single-handedly, though. You can pre-sell your product and use those funds to pay for the manufacturer (as opposed to pre-buying your product and leaving you with unwanted inventory). Crowdfunding (as a market) continues to grow, reaching over $34.4 Billion dollars annually in 2015. Large companies will often push their manufacturing overseas to drive down costs as much as possible. But that presents logistical challenges for smaller companies. So Barbell Apparel actually did the exact opposite: Manufacturing your product locally, so you know who you’re dealing with, and once you have initial traction, moving it overseas after. While local manufacturing yields lower margins, it’s a much safer route that allows you to learn the manufacturing process first-hand (if you don’t already have the technical background). If your business is new, it also gives you the chance to meet the people who will be making your product, gives you more control on designs, faster turnaround with samples, and more influence in how iterations are developing. He also suggested not to get caught up in the details. These can be changed further down the line. What you really want is a core product that stands up to your customer’s demands and meets their quality expectations (i.e. the stuff you hopefully figured out in the last section). Constraints give us borders to work inside. And money is one of the biggest constraints there is. There’s never enough to go around. You’re constantly forced to decide between funding existing operations or reinvesting in new stuff, which means your business and product objectives need to be tied directly to new revenue growth. 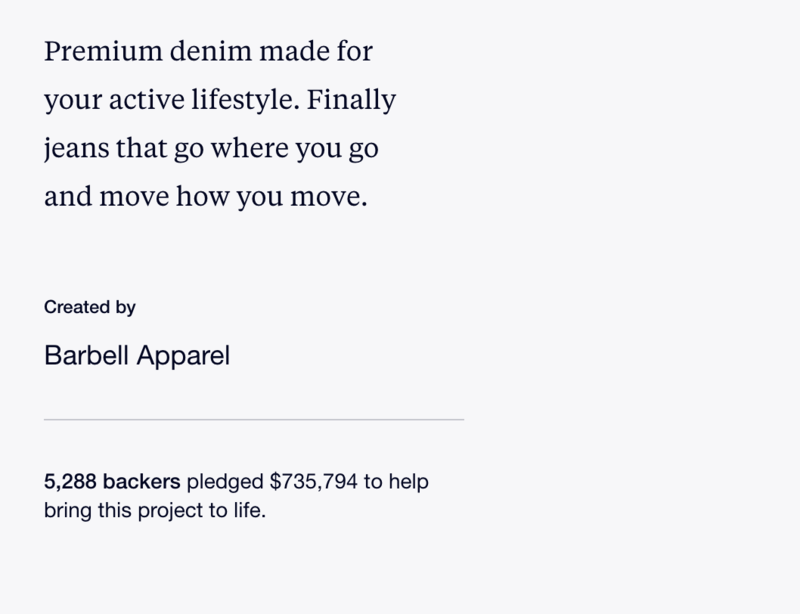 Barbell had an initial goal of $15,000 on Kickstarter. Set that bar too low (pun intended), and your campaign can come of amateurish. However, set it too high, and you risk not getting any money if your goal isn’t hit. Barbell’s initial strategy was to raise enough money to meet factory minimums. But in reality, they needed extra to both fulfill those orders after they were done and then run the day-to-day operations long enough so that new sales would eventually pick up. So they set stretch goals that aligned new product development to the amount raised (with enough ‘padding’ built in to fund everything else). In essence, these stretch goals were like bonuses for campaign backers. People who pledged money got extra perks as your company continues to hit new revenue tiers. So it was in their best interest to see the campaign perform as well (financially) as possible. And it allowed Barbell to keep their product expectations lower initially, just in case they weren’t able to hit these tiers. Fortunately for everyone, this wasn’t a problem because Barbell Athlete was able to raise over $750,000 by 5288 backers. B2B companies have it easy. They can sell something expensive to just a few customers and bring in tons of revenue. B2C companies often don’t have that luxury. Instead, they need to have TONS of customers to make any real profit off of a hundred item. That means they need to create a groundswell. Dropping a few bucks per click on AdWords becomes cost prohibitive. The cost per sale is just too expensive. Instead, they need to reach as many people as possible, for as cheaply as possible. Step #1. Start with PR. 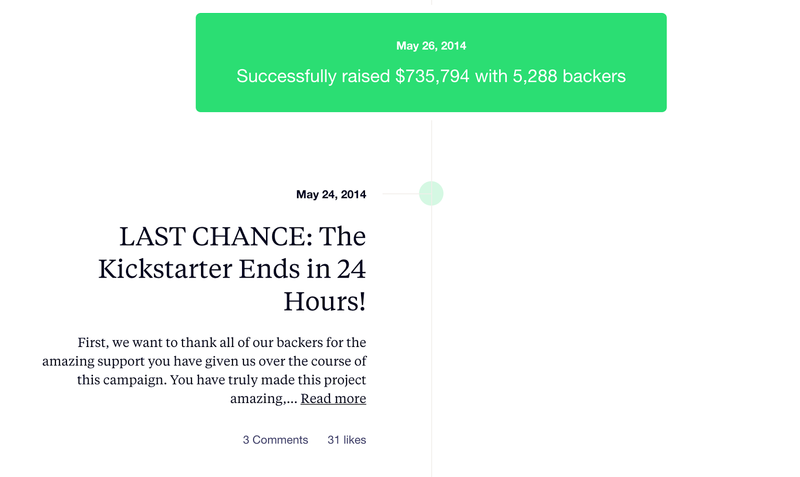 You don’t raise over $750,000 on Kickstarter by accident. It wasn’t like they just annoyed their friends on Facebook. Instead, they spend months putting in the legwork to gain traction. They couldn’t afford a marketing expert or PR company. So instead, they had to roll up their sleeves and do it all themselves. 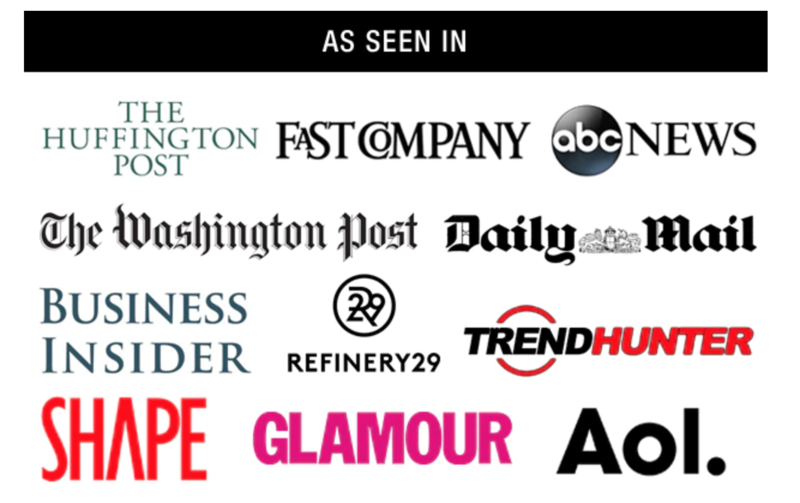 Founder Hunter Molzen reached out to over 100 different publications by himself. And out of those 100, only one single publication decided to write about the project initially. Surprisingly, a ~1% hit rate on cold outreach like this isn’t terrible. Especially when the one company that says “Yes” is Fast Company. This early Fast Company article also gave them a foot in the door of other mainstream media companies. 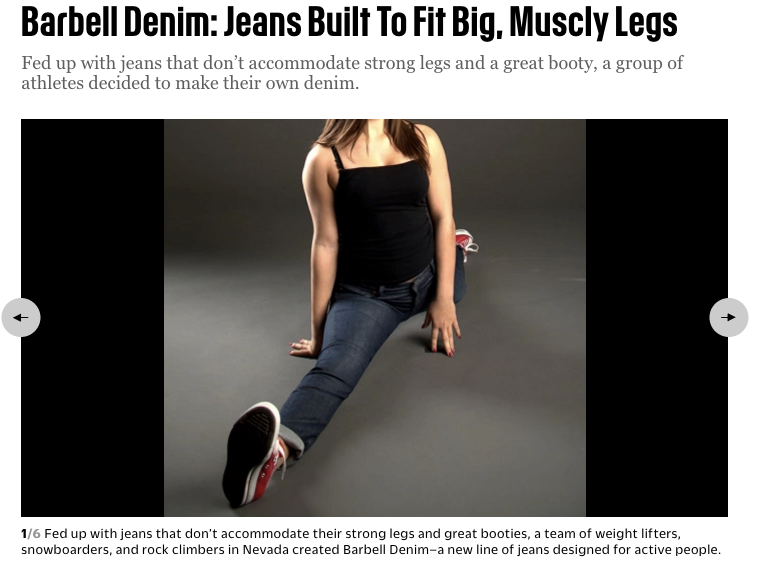 Barbell was able to leverage this excellent write up into land new press mentions across some of the biggest media brands in the world. But how do you get people to notice your campaign if you’re a nobody? You don’t have to have a large social following to get people to write about you. Granted it helps. But it’s definitely not the be-all-and-end-all. And Barbell Apparel definitely didn’t have any existing audience. Step #2. Personalize your pitch. With all these generic pitches, it’s easy to fall into the shadows and become unnoticed. That’s why it’s crucial to take the time to get to know who you’re writing to before you reach out. And why they would ever want to cover it. They found a writer who had an interest in their product, understanding both the space and the objective behind what they were trying to do. The writer was then able to craft personalized pitches to each major publication, relating to them on a level each publication could understand and sympathize with. Barbell used storytelling to ‘sell’ that vision to the masses. Create a narrative. What inspired you to create this product? Who is this product for? What is this product? Keep it brief – you only get one chance to let people know what you’re about. How? How do you plan to complete your project? Over 9000 pairs of jeans sold later and this approach apparently works. How relevant to your niche is it? Why will their readers love your Kickstarter campaign? How much traffic does their site get? Use this tool to get an idea. Do you know someone who can introduce you to the relevant person, or do you have a way to create a strong introduction yourself? Will a feature on their blog or newsletter enable you to connect with a new audience to gain more backers for your project? Step #3. Use Facebook ads to fuel the fire. Once they had mainstream media increasing brand awareness, Barbell switched their focus to Facebook advertising. They used a Facebook pixel to track all of those people who visited the campaign but didn’t back it. Then they retargeted those people to bring them back. This investment was worthwhile because each new pledge meant a new email address for Barbell to later use in other marketing campaigns. Email addresses still play a central role to their new customer acquisition. They use pop-ups with giveaways on their site to encourage new users. They use AdRoll (in addition to Facebook directly) to help them run retargeting campaigns. And run referral campaigns with ReferralCandy to help turn customers into salespeople. Other brands have successfully used this Kickstarter + Facebook ads + email addresses hack to great effect. 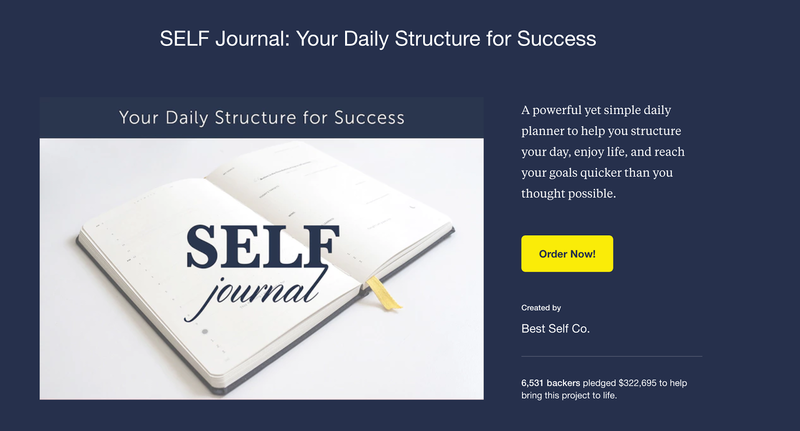 For example, SelfJournal used a similar strategy of using Kickstarter to gain new email addresses. They spent a total of $92.89 on advertising in order receive 172 emails. And then their total campaign came to $322,695. Pakpod’s used Facebook ads for their Kickstarter campaign, too. Initially, they were on track to reach a goal of $70,000. But when they fired up new Facebook ad campaigns, they were able to increase their trajectory to hit a final funding amount of $123,000. Step #4. Incentivize influences with an affiliate program. The use Refersion to provide each influencer with a unique link that tracks back all performance to the source so that they can pay out a percentage of the new sales sold. 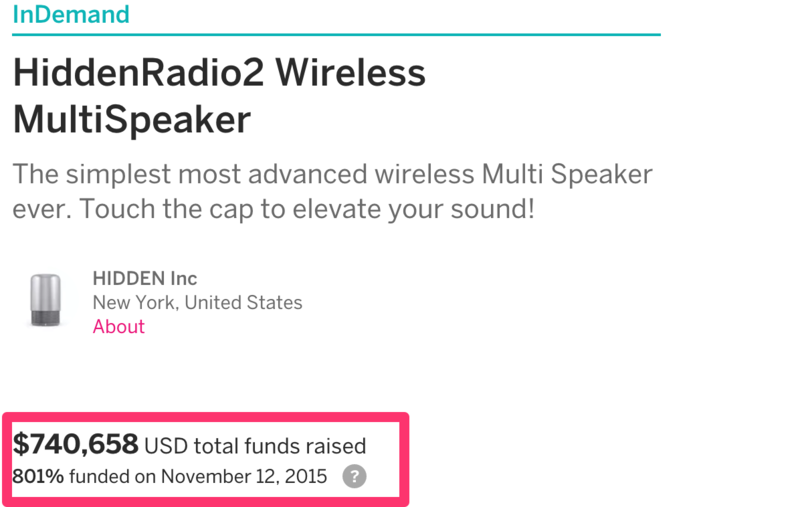 A successful Kickstarter campaign is an accomplishment. But it’s still just the first step in a long journey of getting your new company off the ground. Kickstarter’s platform can help. As we’ve touched on, you get access to the email addresses for each person that backs your campaign. You can also continue using Kickstarter to send out product updates and gather feedback. That’s especially critical because it’s not always smooth sailing post Kickstart launch. For example, Barbell didn’t anticipate their campaign would exceed their initial goal by 49 times. So they hadn’t prepared for fulfilling all of those order (especially in the limited time-frame they gave themselves). As a result, there was only one logical conclusion: Be transparent. Barbell transparently explained that they weren’t expecting this many orders. But they assured each person by clearly explaining what they were doing to catch up and make things right. Your product is great and in demand. You have good customer service. You don’t just disappear after getting paid. That transparency not only worked but has continued to help foster a community between the brand and its fans. For example, they’ve sold over 40,000 pairs of pants to date. And they’ve even successfully gone back to run an additional Kickstarter to raise funds for new products. The founders admitted that they didn’t necessarily need the capital this second time around, but that the effort is worth it because Kickstarter is one of the best platforms to introduce new product lines to a raving fan base. Launching a new Kickstarter product is only the first step. The difficult part is to continue that momentum from a successful campaign into a thriving, lasting company. It starts with iterating on your product(s) until it’s in line with market demands. Then have enough capital to not just bring it to market, but also satisfy those customers until new ones can continue to fund your vision. Have you ever backed a successful Kickstarter product? If so, are you still following them to this day? Or are you still kicking the tires on firing up a campaign to help raise funds for your new product? Tell us about it in the comments below. I’d love to hear from you.